Problem: Harsh vibration causes premature component failure and damage to Printed Circuit Boards (PCB) assemblies. Solution: Add PID to heritage hardware. PID extends hardware life. It is a lighter, simpler solution, reducing the need for redundant systems. After vibration hardening, old hardware is ready for new missions in new operating environments. 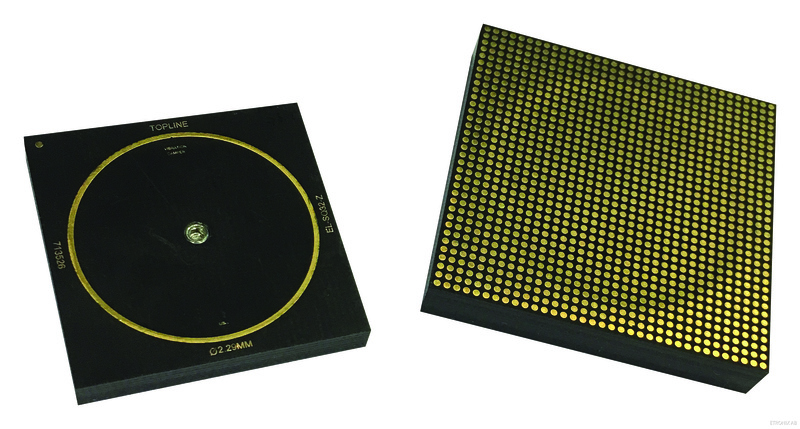 Vibration is attenuated by mounting a PID near the geometric center (anti-node) of the PCB. The damping effect increases reliability in the PCB. The PID may be located on either side of the board. PID may also be attached to an optional interposer bridge to avoid interference with existing components on the board. The PID is housed in a hermetically sealed container that is filled to 90% with tungsten (W) balls. The counterbalance impact of tungsten balls in the PID dampens fundamental frequency fomode vibrations in the PCB assembly. This maximizes energy transfer to the PID to dampen vibration. The weight of the PID is approximately 10% the mass of the PCB assembly. Tungsten (W) is environmentally friendly. Tungsten's properties include high density and tensile strength. The PID can fully functional at extreme temperatures without derating. Vibration at the fundamental frequency fo causes bending, fatigue and cracks in the PCB assembly. Excessive vibration from external excitations lead to catastrophic failure. NASA invented PID technology to reduce vibration and increase reliability in circuit board assemblies. PID are commercially available COTS components. Mounting methods include: standard surface mount soldering, throughhole, screw mounting and epoxy mounting with permanent adhesives. Engineering development kits are currently under development. Download white paper and watch video for inspiration!